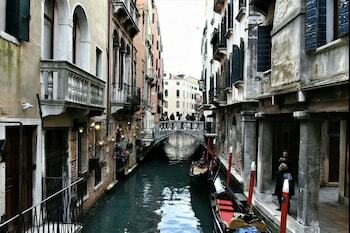 With a stay at Hotel Al Gazzettino, you'll be centrally located in Venice, within a 5-minute walk of St. Mark's Basilica and Rialto Bridge. Featured amenities include express check-in, express check-out, and multilingual staff. Three stars hotel welcoming atmosphere grillbar for fast pastas free internet point cable tv. close to historical center of Perugia 15 km far from Assisi. When you stay at this apartment in Tarzo, you'll be 12 minutes by car from Santa Maria Abbey Follina. Free self parking is available onsite.